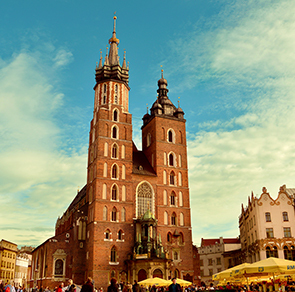 Discover Poland with DHL Express! The 9th biggest country in Europe used to be a communist state. It had close links to the Soviet Union and was a member of the Warsaw Pact. In 1990, the country started its transition into the modern Poland that we know today. Therefore, the market was liberalised. In 2004, Poland joined the EU which led to a steady economic growth. This is a business opportunity you do not want to miss. Traditionally, the food industry, mining, machinery, textile and electronics have been important industries in Poland. Nowadays, almost 38 million people live in Poland. The capital Warsaw is also the biggest city. The 770 km of coastline along the Baltic sea is a popular tourist destination. Geographically speaking, the country is right in the centre of Europe. It borders with Germany, the Czech Rebublic, Slovakia, Ukraine, Belarus, Russia and Lithuania. 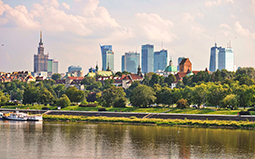 DHL Express can help you to develop your business within Poland. Due to our strong local network, we safely deliver your important packages and documents to any destination. Simply ship to cities like Warsaw, Krakow or Gdansk. Go ahead, we even cover the most remote areas!